Maybe try writing Ashley. http://www.makeit-loveit.com/ That girl makes EVERYTHING!! 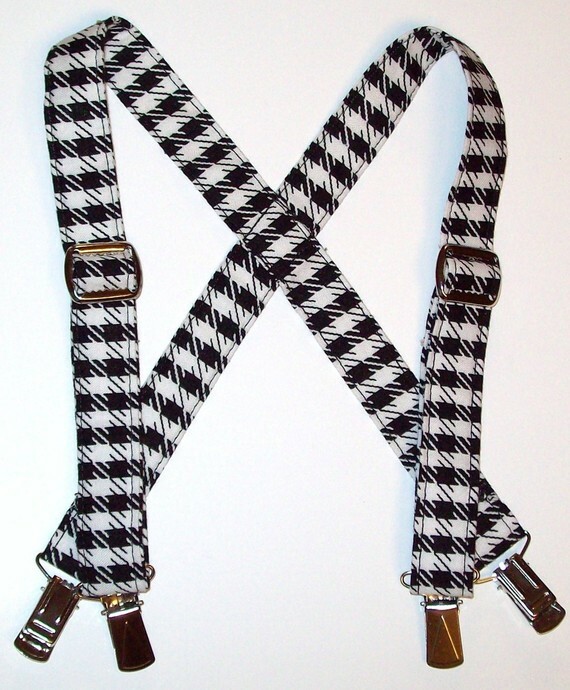 Maybe try a University of Alabama online shop...we love all things houndstooth. I will try my hand at them for you. I make childrens belts and suspenders can't be far behind. Shoot me an email and let me know how many you need and by when and we can work out a deal!